Maj Gen Gerry Berragan, Maj Gen John Stokoe, Tony Fullerton. The meeting opened at 13:00hrs. David Cooper welcomed everyone to the meeting and thanked them for attending. He explained that he would chair the first part of the meeting and then hand over to the newly elected Chairman after the election of Trustees. David Cooper thanked David Chapman, the retiring Chairman, for all his work and leadership in taking the project from its inception to the resulting excellent Memorial that we now have. This was agreed and supported by the whole meeting. It was pointed out that an Entertainment sub-account had not yet been set up. 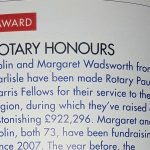 Colin Weir pointed out that the aim of this sub-account was to separately account for money raised at the Annual Dinner from the remainder of the finances. After a short discussion it was unanimously agreed to carry this action over to the coming year. David Chapman was retiring from the position of Chairman for health reasons. David Schofield the took over the chair from David Cooper. David Cooper reported that the numbers attending the Annual Dinner had increased noticeably from last year and there would be 45 attending that evening. Apart from this it had been a quiet year and there was nothing further to report. The account has not been examined by a chartered accountant for year 2016 because there are too few transactions to justify the expense. They will be examined after the 31 Dec 17 which will include years 2016 and 2017. All four of the Associations have paid their annual subscription. The balance of the fund as at 6 May 17 is £1630-47 with all invoices paid to date. There is no further business. Anthony Waite confirmed that he had now completed the handover of Webmaster from Max Warwick. The delays had been due to ill health and computer hosting problems but the website was now fully functioning. He asked that all items for inclusion on the website should in MS Word, MW Excel or Jpeg formats as this made it easier to post them onto the site. During the past year the website had 40,000 hits. He confirmed that the site is not hosted on his own computer but on a third party’s system and Max Warwick confirmed that the site is fully editable by the Webmaster. David Schofield asked who held the log-on details for the website and it was confirmed that it was held by the Webmaster. After a brief discussion it was agreed that these details should also be held by the Secretary. Max Warwick reminded the meeting that all 4 Associations can send information to the Webmaster for posting onto the website. David Schofield agreed to contact the chairmen of the member associations to discuss if it was possible to have reciprocal links on each others’ websites. 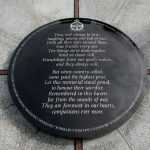 Sadly, this would appear once again that there is a lack of support from the other sponsoring Schools/Colleges to embrace the memorial as a centre for them to use. 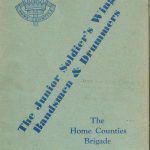 Following a concerted effort to publicise this year’s Annual Service on May 7th with details included in the RBL magazine, the Soldier magazine as well as the Corps journals during the course of the past year, an effort this year has been made to the format and choreography of the service content to try to make it more professional and to give it a higher profile than in past years. For the first time, this year’s service participants will ALL be ex-Army Apprentices. Although the Burton Salvation Army Band have supported us well in the past, the composition of the band compared to military standards leaves a little to be desired, therefore this year the Hymn music and National Anthem will be delivered over the PA system played by a Military Band taped by Jim Smith and operated on the day by Rob Cross. For the first time we will have the Army Apprentice Pipe Band in attendance to play before the service to draw people down to the muster, and also to play for the march on and off of the assembled Standard Bearers, as well as during the dispersal phase of the event. During the service this year we have reinstated the “Pipers Lament”, played this year by Pipe Major Alex Burt (who also composed “The Army Apprentice March”, the first musical score ever dedicated to the Army Apprentice Scheme). The “Last Post” and “Reveille” will be played by Alistair White who in addition to being an accomplished Bugler is also the Bass Drummer in the Pipe Band. To add further colour to the proceedings we plan to have more Standards on parade representing not only the four sponsoring Schools/Colleges, but also some of the Corps and Regiments that had Apprentices serve in their ranks including Association Branch Standards of the Royal Engineers, R.E.M.E, Royal Signals, RASC/RCT and possibly the Royal Artillery. Costs for the event have been kept to a mimimum in that we are not paying for a band and bugler. 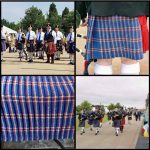 We are however making a donation of £100 to the Pipe Band Fund, to help with equipment to enable them to establish themselves, but when approached the Bugler declined a fee as he considers it an honour to take part in the service without payment. We must look to involve younger blood in the service participation in future, as once again the original Trustees are shouldering the role. Neither of our Patrons are available this year so Ted Cooper has stepped in to do the Opening Address, with Gordon Bonner doing both the Exhortation and the Kohima Epitaph. Our thanks go to all those taking part in this year’s service. 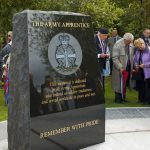 In the coming year, provided we can keep the event publicised, I would like to see some input from the modern-day Army Apprentices, if my fellow trustees agree, as they will be the ones who inherit the memorial when our tools have gone rusty and our tyres have deflated. 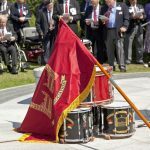 Roger Cross queried the use of recorded music at this year’s Memorial Service rather than the Burton salvation Army Band. After a discussion David Schofield suggested that the situation be reviewed after this year’s Memorial Service on 7th May 2017. The question of the use of the Memorial by all the associations for their re-unions was discussed. 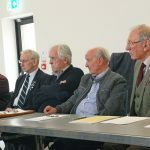 Colin Taylor (Carlisle) pointed out that Hadrian’s Old Boys still had strong links with Carlisle and their re-unions and Remembrance Parade were held in the city. It was agreed to encourage the associations to use the Memorial as much as possible. The Chairman also proposed a vote of thanks to Maurice Hope for all his work in arranging events during the year. This was seconded by David Cooper and carried unanimously. The NMA continues to look after and maintain our memorial in accordance with the agreement. The NMA used £95 from the legacy fund to cover the insurance premium for the year leaving £41,704.32 in the fund. No charges have yet been made for the cleaning of the memorial but the cost of the re-grouting could be taken out of the fund. The re-grouting cost is not known at this stage. The past 12 months has seen the most expensive and most important changes occur in the history of the NMA. For the first time all the administration and catering departments have been moved under one roof. 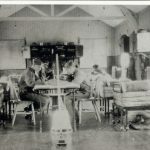 New and larger kitchen, restaurant, reception, information desk, coffee bar, education classrooms and toilets are included in the new work and what was known as the Visitor’s Centre is now the Remembrance Centre. It was opened to the public on the 21st October 2016 and the official opening, by the Patron of the NMA, HRH the Duke of Cambridge, was on the 29th March 2017. 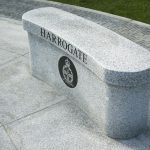 Externally 4 memorials, adjacent to the Remembrance Centre, have now been re-located and the picnic area removed to create Heroes Square located between the Remembrance Centre and the Millennium Chapel. The only outstanding work at the NMA is the removal of the marquees for a more permanent structure. The work will start in October 2017 and take a year to complete. As a result of this work the NMA cannot provide us with a dedicated room for this and next year’s AGM. The NMA has given a verbal apology citing available funding and the contractors works programme for the situation. David Schofield thanked all the past and present Trustees for their achievement in building and establishing a superb memorial. He said that this was Phase 1 and was complete, the trust was now embarking on Phase 2 which is continued promotion of the Memorial. Gordon Bonner outlined the changes contained within Army 2020 and the potential new links with REME. He advised the meeting that the REME Corps ASM (WO1 ASM Rich Bateman) would be attending both the Annual Dinner and the Annual Memorial Service as a first step towards forging firm links with the Regular Army. He further suggested that the Trustees should explore inviting similar people from the other Corps to attend future events. He felt that there was a need to actively involve Regular army units in our events. Paul Sieloff (ACC) said that he would look to establish links with the ACC Association. David Schofield outlined the benefits of using social media such as Facebook and Twitter to approach a wider audience of ex-apprentices. 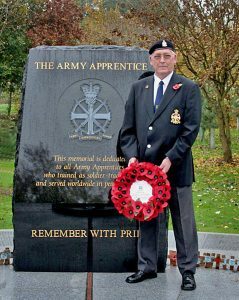 To this end he had set up the day before a British Army Apprentices Page on Facebook and this already had 250 members. There was then a discussion on the use of social media to expand the knowledge of the Trust to all ex-apprentices. The question of renaming the Trust and changing its aims and charitable status was then discussed at length. Gordon Bonner said that in view of the positive discussion he withdrew the proposal that he had intended to put before the meeting. David Schofield summarized all the discussions by saying that the Trust had now reached a crossroads, Phase 1 was complete and we now were embarking on Phase 2 – the promotion of the Trust to a wider audience of ex-apprentices and current serving apprentices. 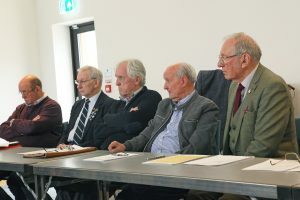 Our target audience was those serving and retired apprentices, both male and female, in their 50s and the use of social media to reach this group. The continued use of the Mickleover Court Hotel for the Annual Dinner was discussed. It was agreed that the Chairman and the Secretary would explore all options and venues for next year’s Dinner. Robert Cross raised the question of the storage of the PA system as he was no longer able to do so. 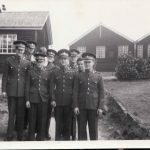 After a brief discussion it was agreed that it should be stored in a secure self-storage facility after this year’s Memorial Service and the question of a more permanent home would be explored in the meantime. There was no further business and the meeting closed at 15:00 hours. 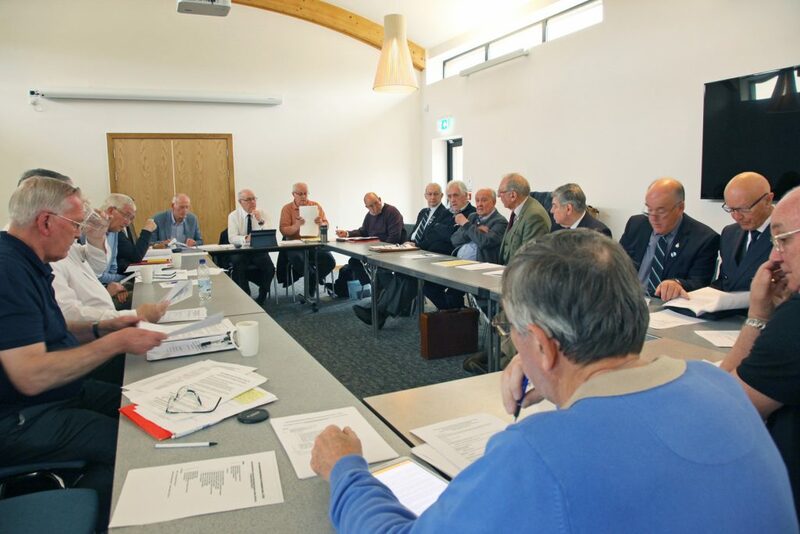 The ninth Annual General Meeting will be held in the Founders Room, National Memorial Arboretum, Alrewas, Staffordshire, at 13:00hrs Saturday 5th May 2017.